Similar items are usually found in well–provisioned offshore life rafts; these items are nice to have for your coastal life raft too. 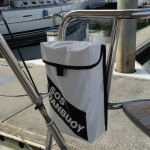 Using the parts in this kit, servicing your SOS Marine life raft is recommended every third year. 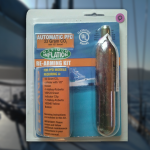 The survival aids extras kit includes options which are not typically available with other coastal life rafts on the market. This kit includes a signaling mirror, a set of three red mini flares and launcher, a one-half liter water pouch, and two space blankets. 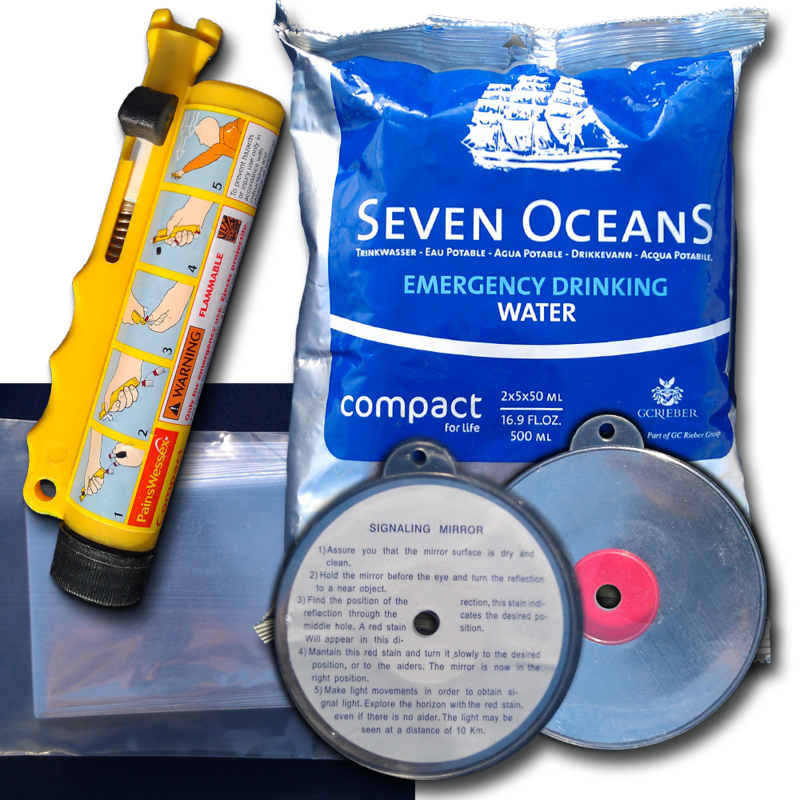 Adding these parts to your SOS Marine coastal life raft will make it even safer. Every third year replacement is suggested; you can easily install these parts yourself. Here is a YouTube video about how to use a signaling mirror. One of the most important points is to use it periodically when you are adrift, even when you cannot see a boat out there. It is very possible any boat out there will see your flashing mirror long before they will see you, or you them. From manufacturer Pains Wessex, here is more information on the mini flare kit compact distress signal. 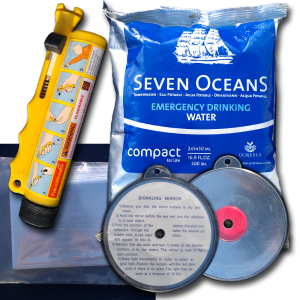 The lightweight, Pains Wessex Compact Distress Signal pack contains 3 red aerial flare cartridges and a penjector firing mechanism, all enclosed in a tough, water-resistant case. The penjector is fitted with a stainless-steel spring and striker pin. 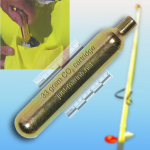 It features a slot for easy loading and unloading of the flare cartridges. 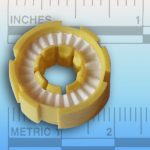 These are stored inside the casing on an elastic lanyard to avoid losing them when the base cap is unscrewed. Pains Wessex Compact Distress Signal is designed primarily for use on yachts, dinghies, personal water craft, canoes and sailboards, but has many applications as a general-purpose distress signal for aviation, hill-walking, climbing, skiing and other outdoor pursuits. Each cartridge projects its payload to a height of over 45 metres, burns for up to 5 seconds at a minimum of 10,000 candela and is visible for at least 5 miles in daylight increasing to 10 miles at night, depending on weather conditions. Operating instructions are on the case. Learn about the space blanket on Wikipedia. If the time ever comes to abandon ship, you may or may not have time to grab a few essentials. Put water in your coastal life raft before you need it so you will have one less thing to worry should your departure ever need to happen in seconds. You won’t have time to look for water bottles you stashed for that very purpose…because you might well be pretty rattled when that time comes.